The first Kingdom Hearts collection on PlayStation 4. 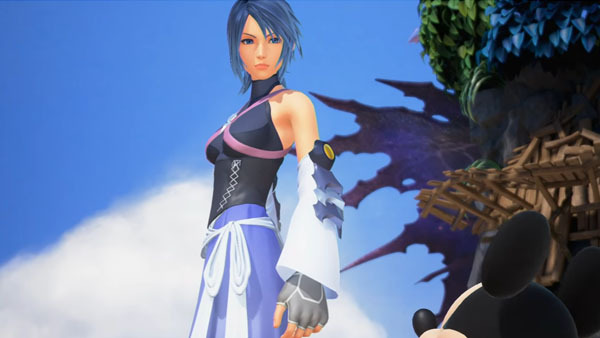 Kingdom Hearts HD 2.8 Final Chapter Prologue is now available for PlayStation 4 in North America and Europe. The collection includes the all-new, Aqua-focused Kingdom Hearts 0.2: Birth by Sleep – A Fragmentary Passage in addition to a high-definition remaster of Kingdom Hearts: Dream Drop Distance and the Kingdom Hearts χ [chi]: Back Cover movie. Additionally, the free “Sora” downloadable content for World of Final Fantasy is available starting today in North America and Europe. The additional content, which will only be available until March 31, adds Sora from the Kingdom Hearts series as a Champion summon. Watch the Kingdom Hearts HD 2.8 Final Chapter Prologue launch trailer and World of Final Fantasy “Sora” downloadable content trailer below.